The Grand Prismatic Spring in Yellowstone National Park is the largest hot spring in the United States, and the third largest in the world. 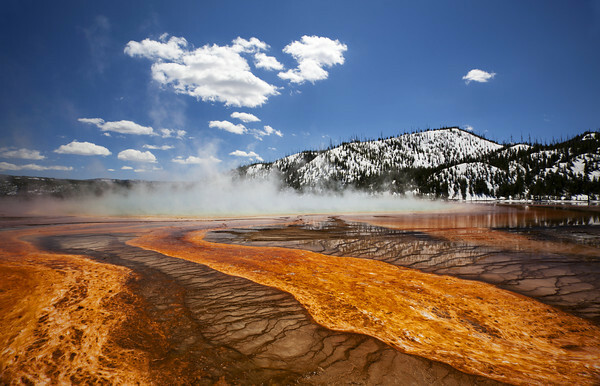 It is located in the Midway Geyser Basin. Grand Prismatic Spring was named for its striking coloration. Its colors include blue, green, yellow, orange, gold, red and brown, and has a rainbow disperson of white light by an optical prism.